In 1983, a new stage was reached: confronted by the scandals given by the pope, Archbishop Lefebvre and Bishop de Castro Mayer wrote him an open letter dated November 21, 1983. They did this in the spirit of St. Paul’s resistance to St. Peter. In 1985, the book Open Letter to Confused Catholics was released. 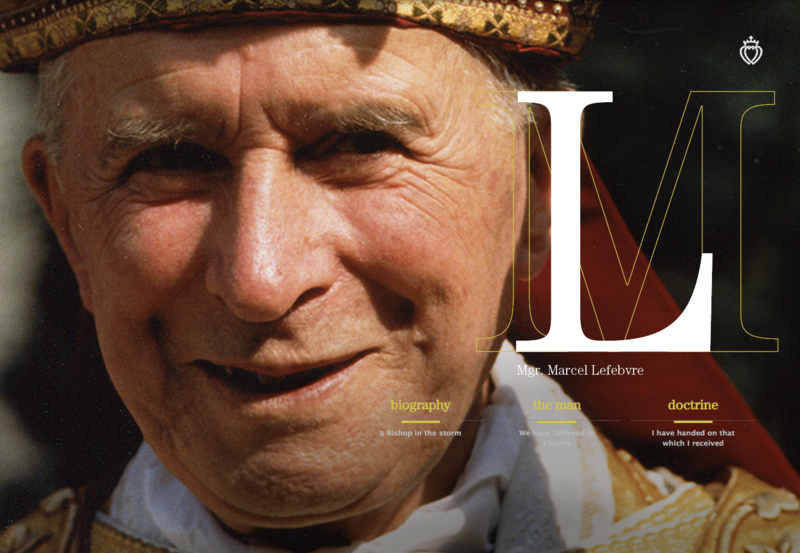 In clear language, accessible to everyone, Archbishop Lefebvre explained the reasons for his resistance to the reforms. The year 1986 was the year of the Assisi inter-religious prayer meeting and of certain grave actions of the Pope John Paul II. On December 2, Archbishop Lefebvre and Bishop de Castro Mayer reacted. In France, a seminary was opened in Flavigny to accommodate the seminarians too numerous for the facilities at Econe. That year also witnessed an impressive geographical expansion with foundations in Gabon, Chile, New Zealand, the French Antilles, Zimbabwe and India. As of March 1987, the SSPX was present on every continent. The measure of the apostasy of conciliar Rome being full, Archbishop Lefebvre had announced on the occasion of the ordinations of 1987 that he would not hesitate, if God requested it, to consecrate bishops to take his place, so that the work of the SSPX might be carried on. Rome reacted by sending Cardinal Gagnon and Msgr. Perl to visit the houses of the SSPX, thus acknowledging the illegitimacy of the sanctions and suppressions accomplished previously. The cardinal even attended the Mass of the “suspended” Archbishop Lefebvre on December 8, 1987 . Consequently, the archbishop delayed the date for the consecrations, hoping for an acceptable settlement. But the report of the cardinal, though favorable, was suppressed. To this day it still has not been published. Archbishop Lefebvre nevertheless signed a not-too-satisfactory doctrinal formula after a new meeting in Rome on May 5, 1988. But as early as the next day, the archbishop requested new guarantees concerning the consecrations and the Roman secretariat that would be in charge of Tradition. The refusal of these indispensable conditions led the archbishop to decide to consecrate four members of the SSPX as bishops on June 1988. The consecration was justified by the case of necessity in which the Church found herself, and which rendered illegitimate the explicit refusal of the consecrations on the part of the pope. Indeed, the pope must have the habitual will to give to the Church the necessary means to its common good. For more information on the legitimacy of the consecrations of 1988, see the theological study.